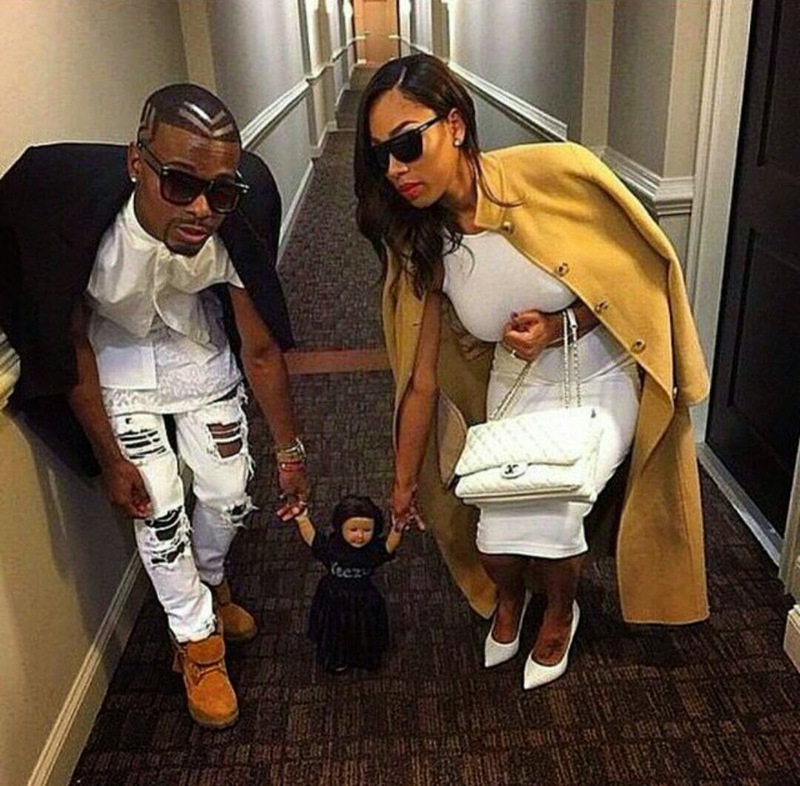 This couple dressed up like Kanye West, Baby North West, and Kim Kardashian. 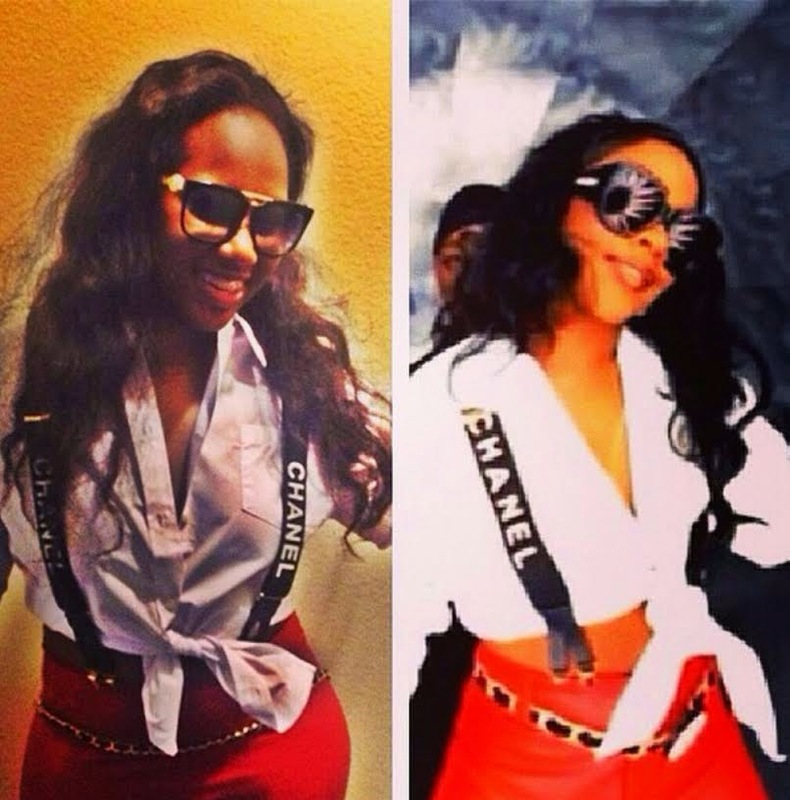 In case you missed it, check out some of our favorite Halloween Hip Hop costumes worn by fans including KimYe and North West, Iggy Azalea, Young Jeezy, The Game, Nicki Minaj, Lil Kim, Miss Nikki Baby model and co-star of Love and Hip Hop Hollywood and more. 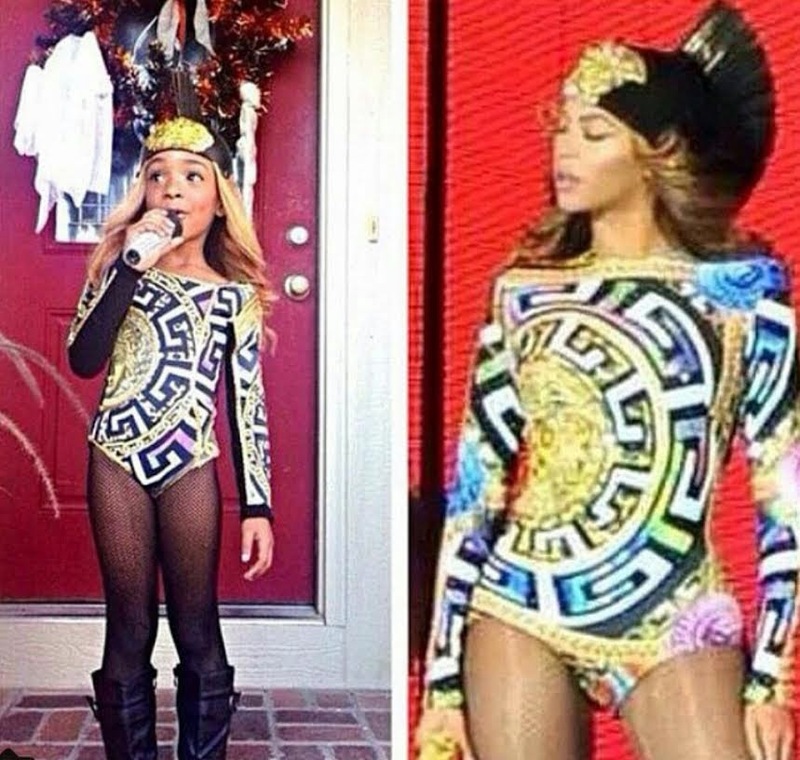 Did they nail it or not? Okay Okay, we know Bey is not quit hip hop, but we loved this costume of one of Beyonce' fabulous 'On The Run Tour' garments. Was this to hot for this youngster? 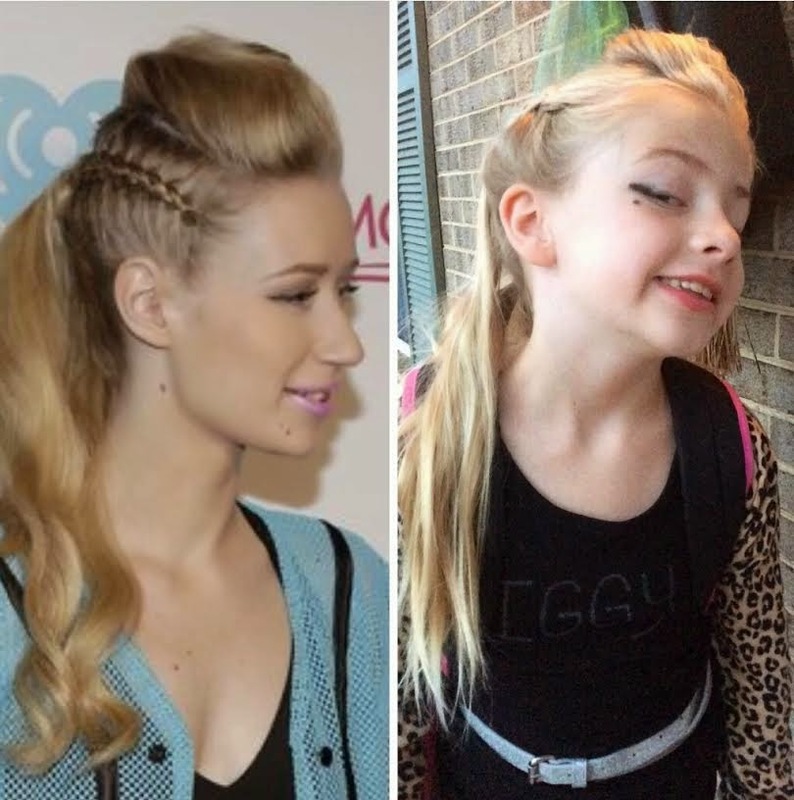 I loved this Iggy Azalea costume dressed by my high school friend Vanessa, back up out fit because her daughter's original outfit ripped, she nailed it! Great job mom. 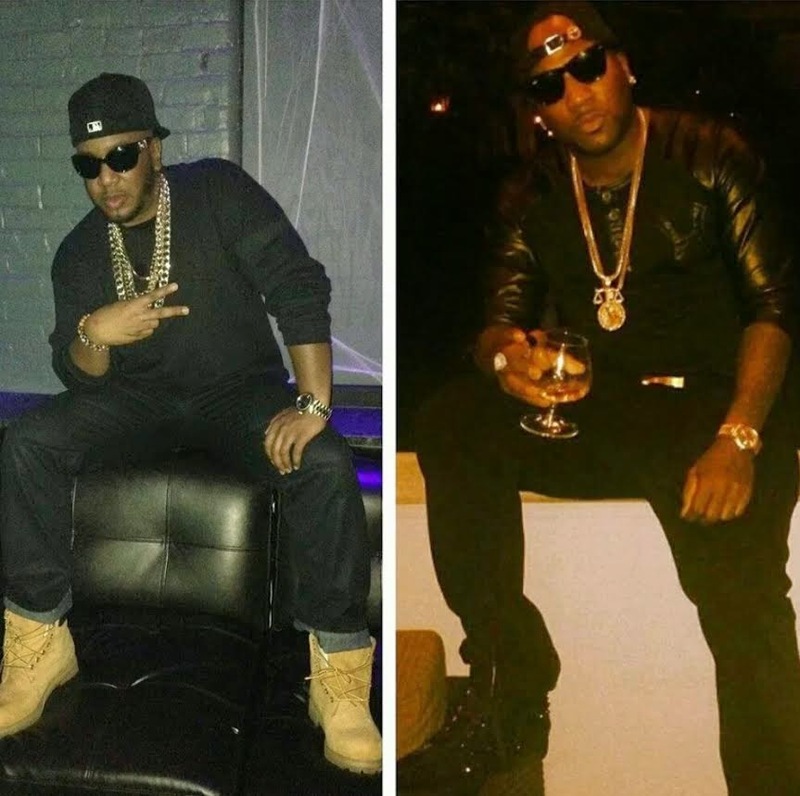 Check out one of my favorite celebrity wardrobe stylist and radio personality Ricky DaVista, I had to do a double take on his Young Jeezy costume. 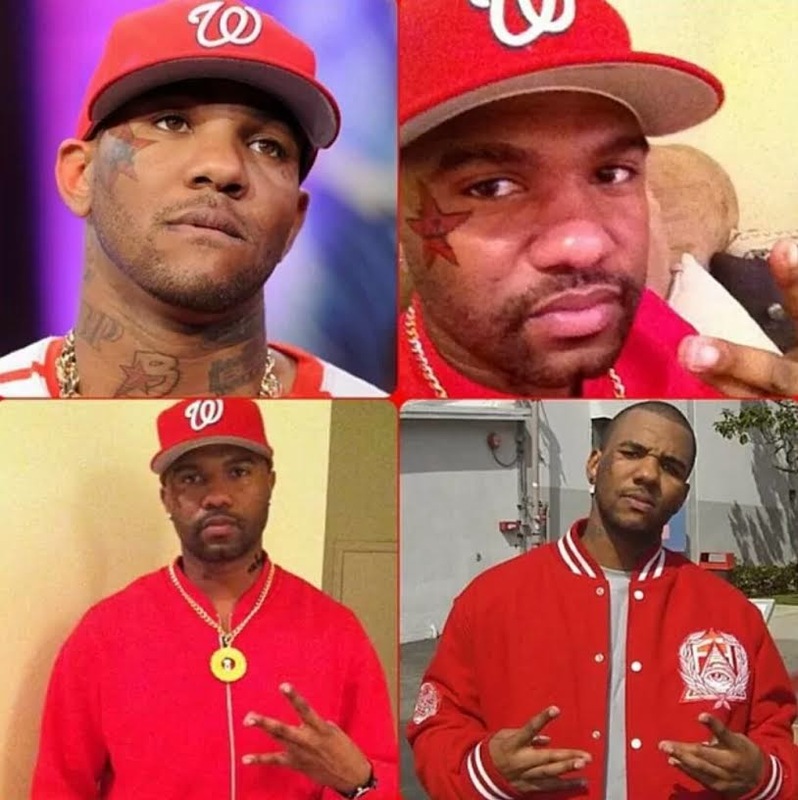 Another dope costume of L.A's finest The Game, so dope! Rocked by D.C's finest Just Carrington, Brand builder, Celebrity Host, and Nightlife consultant. 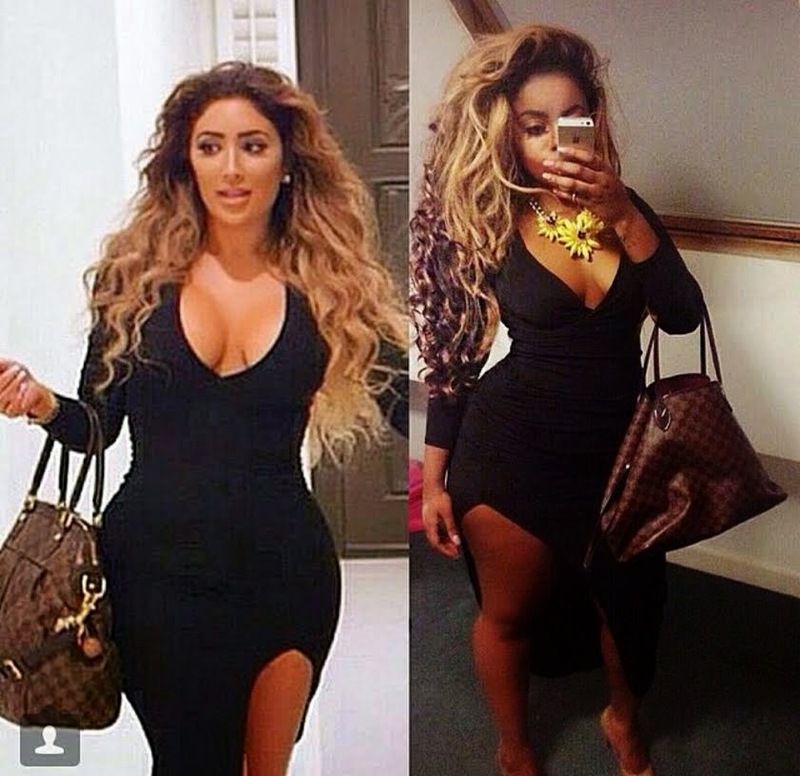 I was shocked that someone actually dressed up like 'Miss Nikki Baby' from Love and Hip Hop Hollywood, Did she nail it or nah? I love love love the 'old Lil Kim' remember this Kimmy Blanco from the early 90's? There wouldn't be a Hip Hop Halloween if no one dressed up like Nicki Minaj. I think she nailed it with the outfit. Gotta love Nicki's barbs. 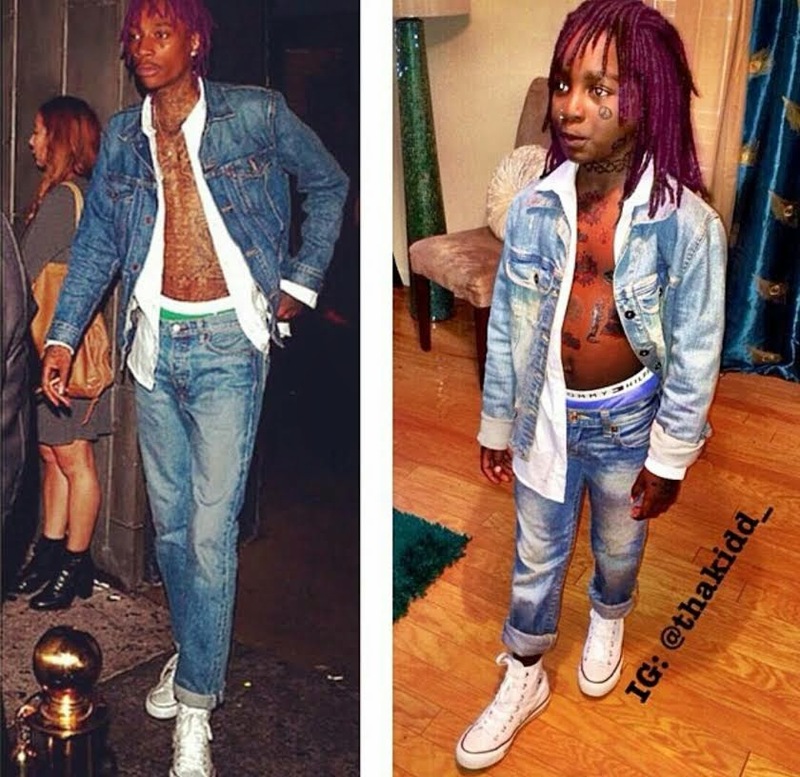 Wiz Khalifa or nah this lil guy must really be a fan of this hip hop hippie. We miss J-Lo and Diddy as a couple, so why not bring them back for one more glimpse as this latina and her beau rocked the J-Lo and Diddy costume. 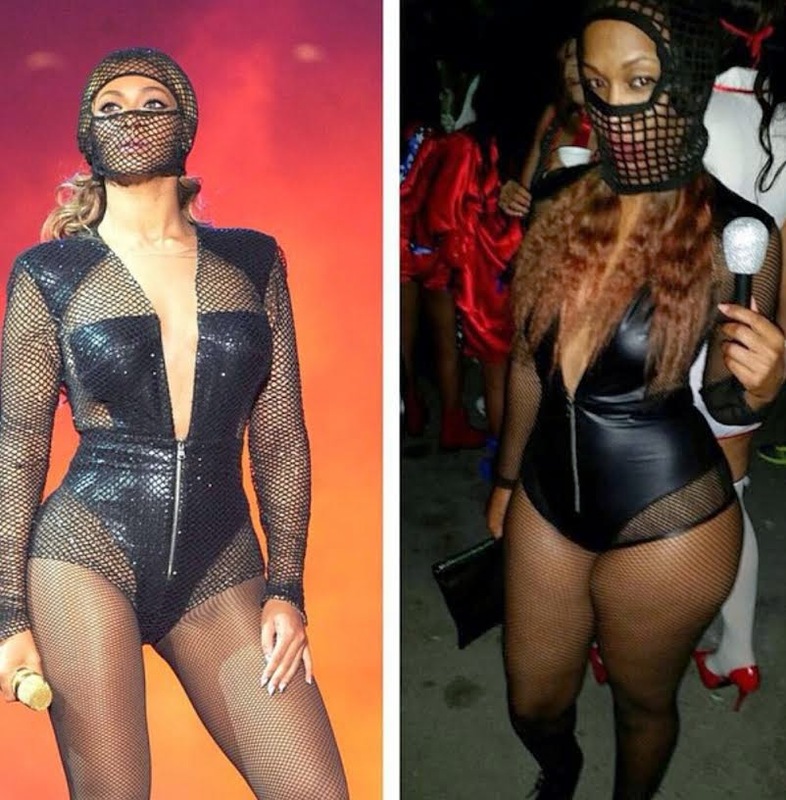 Girls love Beyonce' so why not dress up like her for Halloween, another 'On The Run' concert garment worn by a lovely fan.